Sonia is a truly pure soul. She lives by her principles and tries to inspire them in others, by being a passionate mum, teacher, journalist, writer and architect, too. Of course, she cannot do all this alone, so she has a group of fairies and elves to give her support. 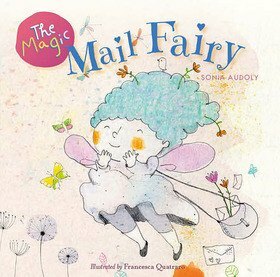 With this book, Sonia shows that there is magic all around us. We just have to start looking at the world through our children’s eyes. We are the ones who put limits to our own imagination. Sonia helps us set our creativity free with magic and joy. Sonia is from Italy, and after world-wandering, she now lives in Australia.